The information contained in this website is for general information purposes only. The information is provided by “Pintaras Jaya Berhad” and whilst we endeavour to keep the information up-to-date and correct, we make no representations or warranties of any kind, express or implied, about the completeness, accuracy, reliability, suitability or availability with respect to the website or the information, products, services, or related graphics contained on the website for any purpose. Any reliance you place on such information is therefore strictly at your own risk. Through this website you may be able to link to other websites which are not under the control of “Pintaras Jaya Berhad”. We have no control over the nature, content and availability of those sites. The inclusion of any links does not necessarily imply a recommendation or endorse the views expressed within them. Every effort is made to keep the website up and running smoothly. However, “Pintaras Jaya Berhad” takes no responsibility for and will not be liable for the website being temporarily unavailable due to any reason whatsoever beyond our control. 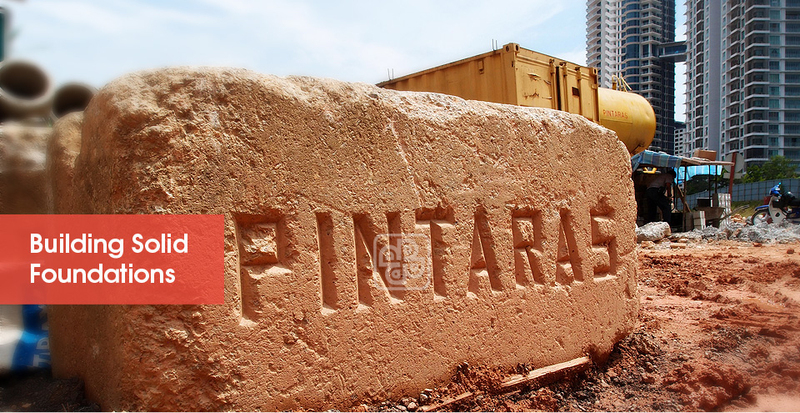 The term “Pintaras” or “us” or “we” refers to the owner of the website whose registered office is Pintaras Jaya Berhad, No. 8 Jalan Majistret U1/26, Hicom-Glenmarie Industrial Park, 40150 Shah Alam, Selangor Darul Ehsan. The term “you” refers to the user or viewer of our website. Pintaras reserves the right to amend the terms and conditions of use and the content of this website without prior notification. Frome time to time this website may also include links to other websites including the Pintaras group of companies. These links are provided for your convenience to provide further information. Other than the Pintaras group of companies’ websites we do not endorse any other third-party website(s). We have no responsibility for the content of the linked third-party website(s). You may not create a link to this website from another website or document without Pintaras’ prior written consent. Your use of this website and any dispute arising our of such use of this website is subject to the laws of Malaysia. Pintaras may change this policy from time to time by updating this page. We are committed to ensure that your personal data is secure. We will not sell, distribute, lease, or allow any unauthorised access or disclosure of such information. We may, however, disclose your personal data to governmental agencies or other companies assisting us in fraud prevention or investigation. We may do so when: (1) permitted or required by law; or, (2) trying to protect against or prevent actual or potential fraud or unauthorised transactions; or, (3) investigating fraud which has already taken place. Cookies are used on this website. A cookie is a small file which asks permission to be placed on your computer's hard drive. Once you agree, the file is added and the cookie helps analyse web traffic or lets you know when you visit a particular site. Cookies allow web applications to respond to you as an individual. The web application can tailor its operations to your needs, likes and dislikes by gathering and remembering information about your preferences. All copyrights in this website (including text, graphics, logos, icons and sound recordings) is owned by or licensed to Pintaras and shall be protected under the Malaysian Copyright Act 1987. You may not, except with our expressed written permission, adapt, reproduce, distribute nor create derivative works from any part of this website or commercially exploit the content. Nor may you transmit it or store it in any other website or other form of electronic retrieval system.